Create your boys ceremony outfit by choosing from 6 models of Bermudas and 4 patterns of shirts. Elegant and chic Bermuda perfect for all ceremonies, wedding, baptism, communion and birthday. 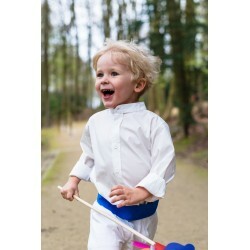 Boys' ceremony shirt, French collar. Ideal for a cortege or communion outfit. Formal shirt for boys, officer collar. Ideal for a cortege or communion outfit.